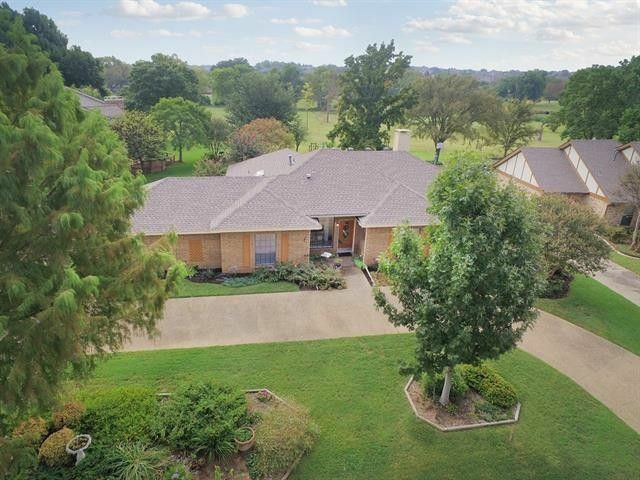 Original owner, true custom garden home on a .379 acre lushly landscaped lot accented by colorful, low maintenance perennials and mature trees. Backyard oasis showcases multi-level decking overlooking RGAC's 5th Green. Lovingly updated while retaining its character and charm. Family Room features gorgeous hardwoods and beamed ceiling. Formal Dining with French doors would make a perfect Study. Gourmet Kitchen offers granite counters, gas cooktop, convection oven, beverage center and Breakfast Room with a specialty ceiling. Luxurious Master Suite has patio and hot tub access and a spacious bath with private garden views. The unique Garden Room has a surrounding plant edge. Too many features to list - A Must See! Directions: From Hwy-66: North on Lakeshore, Left on Masters, Right on Shores Blvd, Left on Meandering Way, Left on Plummer Drive, First Home on Left.